Update 1: The application is no longer working on all Android phones since May 24th, 2013. Update 3: Cars961 app was available on Android with same data in February 2015. It was taken down once again by ISF. 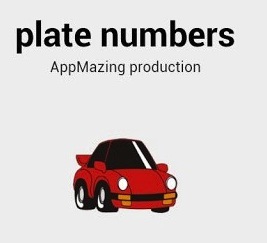 For those who are not yet aware of the Android app “Plate Numbers”, it’s a simple and free app available for download on the Google Play Store. Upon entering any Lebanese car plate number, it gives critical and updated information about the owner (full name, mobile number, home address, model year, car model, when it was first put in circulation and most importantly if it’s mortgaged to a bank). The app is excluding car plates from 1 – 129 as they are owned by the government, therefore not registered. In addition to the old car plates that are no longer in circulation. Couple of years back, an Excel file was leaked and was on everyone’s computer making every passing car vulnerable to harassment. If you just spot a car on the street you can enter the number and get all the information about the owner/driver. Many girls were complaining about endless phone calls they receive when they are spotted on the streets. Also, making it easier on car thieves where they can get the home address of a car’s owner and the mobile number to later call him and negotiate a return price. This Android app also includes a disclaimer asking the end user “…to use this application within the circle of morality and ethics avoiding any disrespectful behavior…”. That is like selling someone a gun and asking him not to kill people with it. Funny. This is not my program. It’s illegal to have such app.